Over the course of the past month and a half, Jews around the world took part in an action-packed journey. Waking up early for Selichos prayers in the days leading up to Rosh Hashana; experiencing the awesome nature of Rosh Hashana itself for two full days; reconnecting with G-d during the Aseres Yemei Teshuvah (Ten Days of Repentance); the prayerful intensity and cleansing nature of Yom Kippur; building and decorating our Sukkos; preparing our lulavim/esrogim; eight festive and action-packed days of Sukkos; and finally, the unbridled joy of Simchas Torah. Of all those amazing experiences, I’d like to reflect on one moment during that whirlwind period that made a great impression on me: Hoshanah Rabbah morning at the Young Israel of Memphis (YIOM). As we recited the special Hoshanos prayers while circling the Torah scrolls being held at the shulchan (Torah reading table), I looked up to take in the scene at one point — and I was amazed. Everyone at shul had the nicest looking sets of arba minim (four species) — including their aravos (willow branches)! Of all the four species, the aravos are by far the most delicate. They tend to wither rather quickly, and by Hoshanah Rabbah (the final day of using the lulav and esrog), many people aren’t often able to take pride in the appearance of their aravos. This year, however, every single person at YIOM’s minyan that morning was circling the shulchan with the freshest aravos one could imagine. How did that happen? The children of Young Israel and I had been dutifully tending to the aravos garden we planted about six months ago. Thankfully, this year’s garden produced a bumper crop of aravos, and I gladly harvested them just before services on Hoshanah Rabbah morning. This enabled everyone at minyan to replace their original withered aravos with fresh new ones, and to fulfill the mitzvah of arba minim in the most respectful and honorable fashion possible. 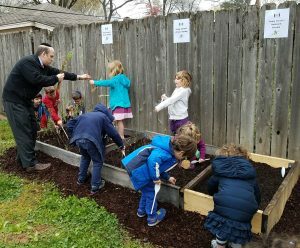 Creating an aravos garden for your shul is a great simple activity to get the kids involved in and excited about. After Sukkos, collect unused aravos branches and place them in a container of water (we used glass mugs), and roots will soon begin growing from the bottoms of many of the branches. The only maintenance required is changing the water every few weeks over the coming months. When the spring rolls around (we waited until the month of Nissan), take the branches that have produced roots and plant them in an area that’ll receive plenty on sunlight. Aravos are described in the Torah (Vayikra 23:40) as “arvei nachal” — willows that grow along a brook. Aravos need lots of water in order to thrive — so be sure to water them religiously (no pun intended). 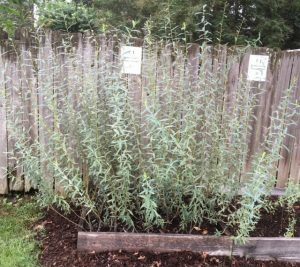 Within a short amount of time, you should have your very own aravos bushes beginning to develop in your garden. We trimmed ours around Tisha B’Av so that new branches would grow and be the right size in time for Sukkos. It’ll keep the bush from growing out of control in height. While the Mishnah (Sukkah 4:5) informs us that we needed to lean really long aravos branches up against the sides of the mizbeiach (altar) in the Beis Hamikdash (Temple), the aravos we need to place in our lulav holders don’t need to be more than a foot in length. Trimming the aravos causes multiple branches to grow from the area that was cut. This will help to produce a bumper crop of aravos for your shul. (This past year, we attempted the same technique with hadassim (myrtles). Although they are growing at a much slower pace than our aravos, the same procedure seems to be working. Who knows? Perhaps we’ll also be able to enjoy some of our very own home-grown hadassim in a few years! After crossing the Yam Suf (Sea of Reeds) at the height of yetziyas Mitzrayim (the Exodus), our ancestors sang “Zeh Keili V’anveihu — this is my God and I will glorify Him” (Shemos 15:2). Based on this phrase, our Talmudic Sages taught (Shabbos 133b) that we should always try to serve God in the most beautiful manner we can. Young Israel of Memphis’ children enabled us to truly fulfill “Zeh Keili V’anveihu” this past Hoshanah Rabbah morning — and for that we are all grateful. As the new year of 5779 begins, let’s recommit ourselves to look for opportunities to perform all of God’s mitzvos in the most glorious way possible.